In the spring of 1971 the Rolling Stones departed the UK to take up residence in France as tax exiles. Keith Richards settled at a villa called Nellcôte in Villefranche-sur-Mer and this became the venue for the recording of much of the band s masterpiece Exile On Main Street . 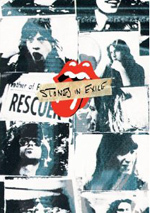 Stones In Exile tells the story in the band s own words and through extensive archive footage of their time away from England and the creation of this extraordinary double album, which many regard as the Rolling Stones finest achievement. Of all the rock albums generally accepted as “classics”, 1972’s Exile on Main Street may be one of the most polarizing. The Rolling Stones’ double-LP opus tends to get a “love it or hate it” reaction much of the time. Loose and lively or sloppy and bloated? That verdict depends on the listener. Personally, I’m firmly in the “love it” camp. 1969’s Let It Bleed is a more consistent album and arguably superior to Exile, but I view the latter as one of those “whole is more than the sum of its parts” releases. Song by song, it doesn’t hold up to Bleed; with the exception of the silly “Country Honk”, the latter is virtually flawless. However, there’s just something special about Exile that makes it my favorite Stones release and a definite “desert island disc”. 2010 saw lots of Exile-related activity, as the Stones re-issued it in a mix of configurations. They also worked on Stones in Exile, a documentary that looks at the album. 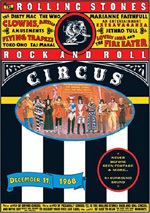 It includes interviews with band members Mick Jagger, Keith Richards, Charlie Watts, Bill Wyman, and Mick Taylor, Exile producer Jimmy Miller, music producer Don Was, musicians Willi.I.Am, Jack White, Sheryl Crow, Bobby Keys and Caleb Followill, actor Benicio Del Toro, director Martin Scorsese, photographer Dominique Tarlé, Keith’s ex-girlfriend Anita Pallenberg, recording engineer Andy Johns, and Rolling Stones Records head Marshall Chess. In Exile, we learn about the band’s tax-related move to France and life there. We also hear about the writing and recording of the album. The show also discusses business issues and other elements related to the band and the record. Going in to Exile, I expected it to follow the Classic Albums template, but that doesn’t prove to be true. Of course, it shares many of the genre’s conventions. If you’re going to make a documentary about an album’s creation, you’re obviously going to get into the basics about the band and the musical specifics. Whereas the <>Classic Albums programs go for a very nuts and bolts approach, Exile opts to go after the record in a more general manner. This is good and bad. On the positive side of the ledger, it delivers a view of the album in a global context. The show seems more concerned with the overall vibe and impact of the release; this means that we find a nice overview of the sessions and related information. That said, I really like the Classic Albums approach, as it lets us dig deep into musical specifics. I think the Stones wanted a more general program so it could appeal to a broader audience. The Classic Albums shows tend to go for the music nerd crowd, as those documentaries dissect different elements to a heavy degree. In theory, I’m fine with the more global approach of Exile, but I can’t say I’m enchanted with the end result. Too much of the program focuses on personal lives/concerns and too little deals with the actual music. Sure, we get occasional nuggets related to the creation of the album, but the show devotes a lot more time to the sleazy atmosphere during the sessions and all the use of drugs. This means that fans seem unlikely to learn a whole lot from Exile. Most Stones buffs already know about the general side of the album’s creation, so they probably won’t find a whole lot of meat here. Again, a few interesting tidbits emerge, but those remain in the minority. Not that Exile is an uninteresting piece. It’s certainly good to hear the Stones look back on their classic album. Indeed, it borders on remarkable that Jagger – who generally loathes discussions of the past – allowed all this to happen in the first place. The various band members give us a mix of useful notes along the way. But not a lot of them, and that makes Stones in Exile a disappointment. I hoped for a program that would really involve us in the album’s creation, but it only sporadically does this. Perhaps the show will work better for more casual Stones fans, but for me, Exile ends up as only occasionally involving. 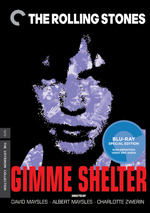 Stones in Exile appears in an aspect ratio of approximately 1.78:1 on this single-sided, single-layered DVD; the image has been enhanced for 16X9 televisions. Because it consisted almost entirely of archival materials, this became a difficult transfer to judge. That was especially true because even the modern material came with a lot of stylized elements. These shots tended to be black and white and intentionally flawed; they demonstrated lots of fake grain as well as other stylistic blemishes. Not that those mattered much, since we didn’t see much of them. The vast majority of Exile presented photos and footage from the early 1970s. The stills tended to look very good; they offered nice definition and clarity. The film was much more erratic, however. Black and white ruled the day; occasional color shots appeared, but those remained rare. The quality of the footage varied a great deal and depended on the source. Much of it looked pretty mediocre, as it tended to be shot “on the fly” and came with iffy focus. The shots also were usually very grainy, and other source flaws cropped up along the way. Which was to be expected. Documentaries of this sort tend to be a mixed bag, and that held true here. The visuals were perfectly acceptable for this kind of project; I gave them a “C” because they lacked obvious strengths, but I wasn’t disappointed. Audio was fine as well. The Dolby Stereo 2.0 soundtrack favored the front speakers, obviously, and provided a decent impression of the material. As expected, music created the most significant element. The many Stones songs demonstrated good stereo presence, and the program added a few general sound effects as well. Nothing particularly memorable came from the soundscape, but it did what it needed to do. I felt the quality of the sound was good. Music showed fairly nice range and clarity. Because the songs tended to stay in the background, they didn’t deliver great impact, but they worked fine. Effects were a minor element; they seemed accurate enough but didn’t have much to do. Speech was always clear and concise, so the interviews came across well. In the end, I thought the audio was perfectly fine for a show of this sort. Under Extended Interviews, we find 33 minutes, 29 seconds of additional footage. We hear from Keith Richards (8:24), Bill Wyman (6:56), Mick Taylor (2:46), Anita Pallenberg (6:16), Charlie Watts (5:58) and Ronnie Wood (3:08). Across these clips, we get notes about the album’s creation and other aspects of the era. Unlike the main program, these follow the standard “talking head” format, and that’s fine with me, especially since it allows for more unfettered information than usual. Indeed, the “Interviews” may provide better material than what we get in the full show; it’s a good collection. Return to Stargroves and Olympic Studios runs eight minutes, 38 seconds. 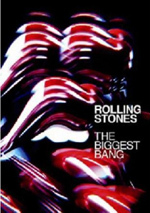 It shows Watts and Jagger as they visit two locations in which the Stones worked and discuss the sessions. Much of the charm here comes from the interactions between Charlie and Mick; they throw out some good details as well, but mostly it’s just a kick to see them together. Finally, Exile Fans provides 39 minutes, 44 seconds of material. It offers thoughts from filmmaker Martin Scorsese and musicians Don Was, Caleb Followill, Will.I.Am, Liz Phair, Sheryl Crow, and Jack White. The women provide the best info here, especially when Phair gets into the creation of her Exile in Guyville album. Otherwise, we don’t find many insights. After 38 years, Exile on Main Street remains one of the all-time great rock albums. Stones in Exile provides a decent examination of its creation, but it’s not a great one, especially if you want to learn the nuts and bolts of the recording. The DVD gives us adequate picture and audio as well as a few interesting supplements. The documentary will probably work best for casual Stones fans.